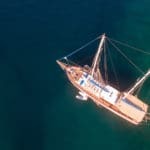 Did you know that when you are looking for all inclusive gulet cruises in Turkey, they can be offered in more than one way. Many might think that all the food and drinks are included. 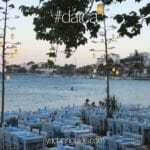 However these gulet charter holidays can be offered with only the food, where soft drinks and alcohol are extra. 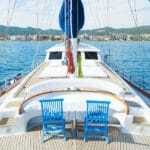 With most Turkish private gulet charters, guests are welcome to bring their own drinks and beverages on board. There is also the possibility of receiving an offer on your gulet rental with meals included, the soft drinks and local alcohol included and the import alcohol is extra. It is rare that import alcohol is ever included in offers. It is perhaps cheaper to bring your own import or have it purchased from the supermarket instead. Other services that could be included are Greek island harbour fees and customs fees for itineraries combined with Greece islands. 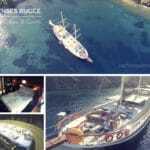 In this case, the route must be known in advance so that it can be calculated inclusive to your gulet charter rate. What is important when asking for an all inclusive full board is knowing the number of guests that will be in your group. That way this can also be calculated accordingly when quoted to you. Sometimes it is difficult to know the budget for the trip. But if each person had a budget, then we can simply multiply the number of guests x their weekly or daily budget to come up with the budget range in total. So when you are seeking an exciting Turkish gulet cruise holiday, find out about the all inclusive offer for the gulet cruise package or quote by providing essential information to your Mirya Yachting charter agent.